With just under a week to go before the official kick-off to the annual Salon International de la Haute Horlogerie (SIHH), consider this your ‘Get Psyched’ list. The 29th edition of one of the world’s most coveted watch exhibitions and trade fairs will take place in Geneva once again this year, and with 35 historic, exclusive, and independent watchmakers confirmed to exhibit, it’s an exciting time for timepiece enthusiasts. Ahead of the 14-17 January event, many brands have released pre-SIHH 2019 novelties as a timely teaser, and from what we can tell, there’s already plenty to look forward to. Dark blue hues reign supreme as the leading colour trend, whilst reworkings and a greater focus on case shapes move into the spotlight. IWC expands its Pilot’s collection for a special anniversary, and Cartier unveils yet another Privè capsule line. 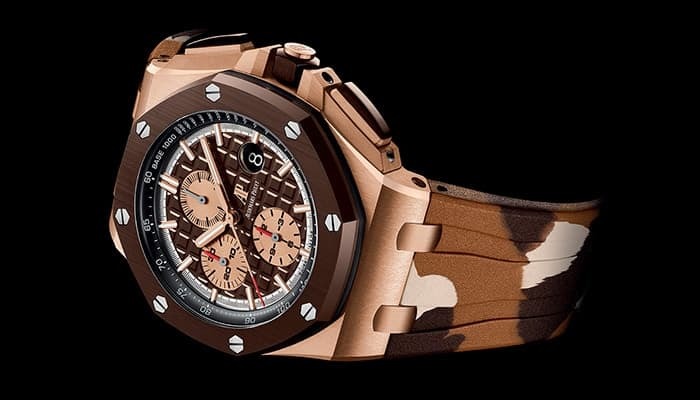 It’s the last year in which Audemars Piguet and Richard Mille will participate, whilst rumours and speculations sneaking through the Genevan grapevine have it that an even greater change may be on the books, too. Whatever it may be, we’ve taken our peeks and picks of some of the most intriguing pre-SIHH 2019 novelties of the minute. The festive season may have come and gone already, but for watch lovers, the party is only just beginning. Read on. Cartier continues to up the nostalgia, reinterpreting many of its iconic watches under the new capsule ‘Privé’ series. For SIHH 2019, the French luxury watch and jeweller maker is reinvigorating the Tonneau model – a model that first debuted over a century ago to challenge traditional watch shapes with its unique oval form. 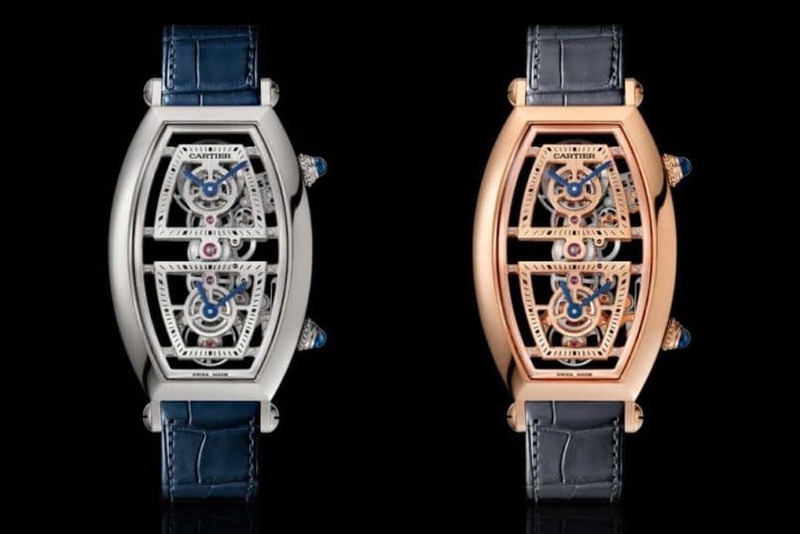 The Privé Tonneau collection will consist of two sets of four models in new materials: the Cartier Tonneau Large in platinum or in rose gold, and the Cartier Dual Time Zone Skeleton XL in platinum or in 18k rose gold. The models see a refinement of the rhodium-plated Roman numerals and railway track, with a ruby cabochon to top the crown in classic Cartier style. The Skeleton Dual Time Zone Tonneau pieces provide even more to admire beyond their captivating exterior too, featuring two separate mechanisms for the dual time zones, as well as shape and gear alignment to adapt to the curved case. There will also be a limited edition of 20 pieces for a Skeleton Dual Time Zone Tonneau watch in platinum set with baguette-cut diamonds. IWC is truly set to soar at SIHH 2019, unveiling a series of aviation watches in an homage to the 80th anniversary of the beginning of the Second World War, and the iconic Spitfire airplane. 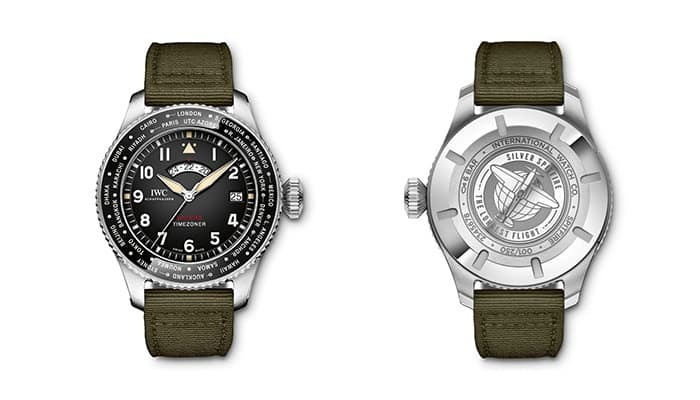 The IWC Pilot’s Watch Timezoner Spitfire Edition ‘The Longest Flight’ will come in a special edition of 250 pieces, inspired by a project in which Steve Boultbee Brooks and Matt Jones will embark in a Spitfire flight around the world this summer. In a world first, the timepiece features IWC’s patented Timzoner mechanism in combination with an IWC-manufactured movement. Unsurprisingly, the watch also features many design accents much reminiscent of its namesake, such as a black dial, 42mm stainless steel case, and green strap, bearing a charming resemblance to the Spitfire’s cockpit. Time zones can be set by rotating the bezel, after which the hour, date, and 24-hour display will automatically adjust. 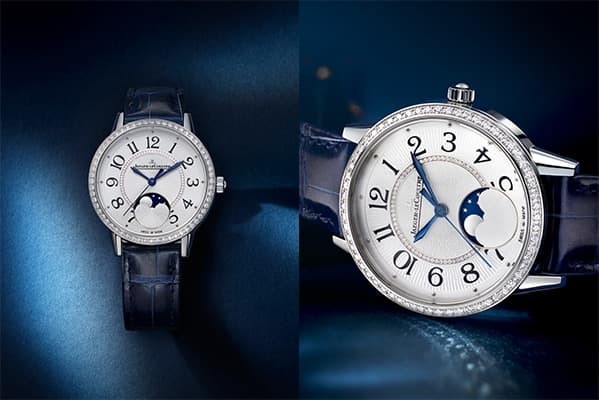 Jaeger-LeCoultre already stole hearts at the end of last month with the unveiling of its night blue Pre-SIHH 2019 Master Ultra Thin Moon Enamel, and continues to do so in its second wave of releases. 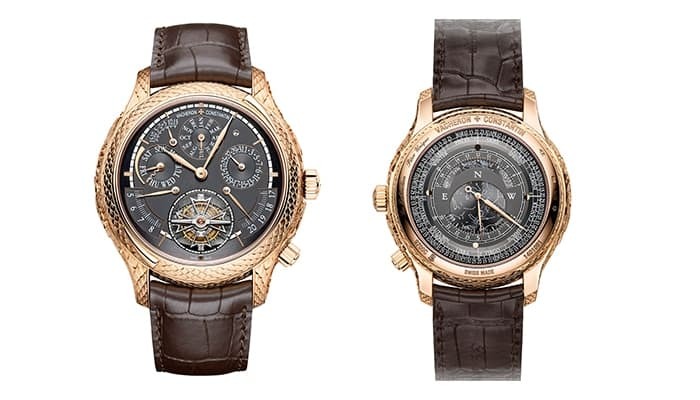 The new Rendez-Vous Moon will come in pink gold and steel versions, in a celebration of the brand’s Métiers Rares. A feminine imagination of the classic moon phase watch, the silvered guilloche dial, hands, and signature floral numerals highlight the hours in elegant style, with interchangeable bracelets allowing for some customisation. The reworked moon phase features the disc at 6 o’clock, as a delicate moon moves through its phases under a lacquered blue sky. Refining the illustrious Rendez-Vous Moon, the SIHH 2019 model comes as an intrinsically feminine and romantic addition. Vacheron Constantin’s bespoke atelier Les Cabinotiers is the stuff watch lovers’ dreams are made of, and its latest masterpiece is further proof thereof. The Grand Complication Phoenix may have ‘only’ 15 complications (to think, the Reference 57260 pocket watch had a jaw-dropping 57 complications), yet marries horology with artisan craftsmanship in exquisite style. 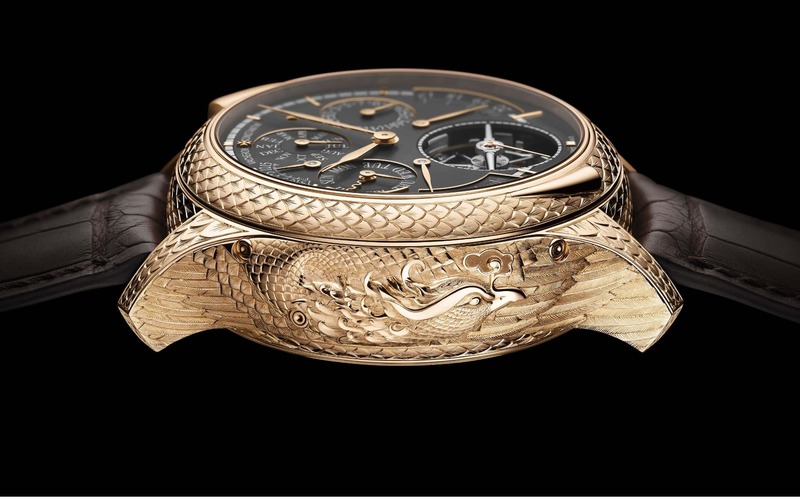 The 18k gold caseband, bezel, and caseback feature a golden phoenix engraved in bas-relief, inspired by the fable of the rising phoenix and the spirit of immortality. Beyond its captivating exterior, the watch also has two dials in slate grey, home to a minute repeater, tourbillon, perpetual calendar, moonphase, sky chart, and sunset/sunrise time. Vacheron Constantin’s Les Cabinotiers is truly showing us who’s boss, once again. Lamborghini lovers will like this one. Roger Dubuis’ Excalibur Huracàn Performante was inspired by the sports car of the same name, and with its 45mm titanium case, skeletonised dial, anthracite upper flange, 18k black PvD coated gold hands, and Super-LumiNova accents, is quickly racing its way to the top of both watch and car enthusiast wish lists. 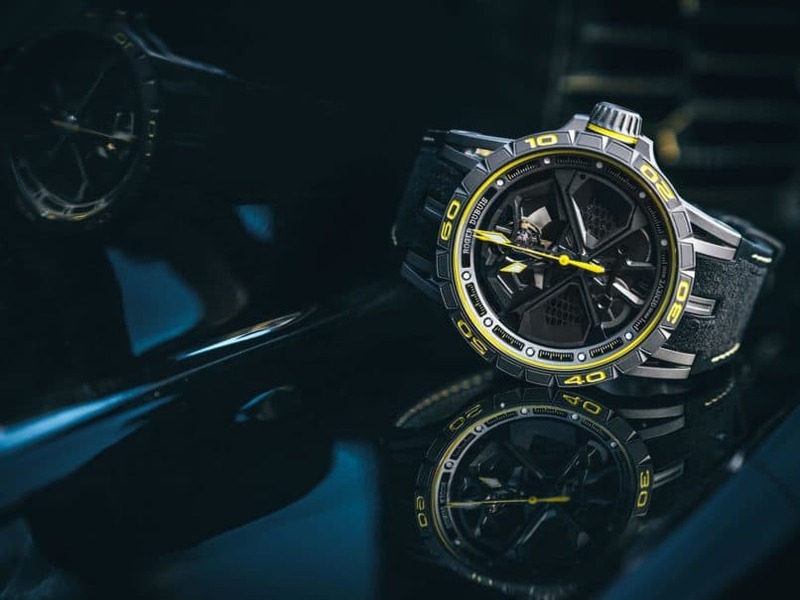 Limited to 88 pieces, the product of collaboration between Roger Dubuis and Lamborghini’s Squadra Corse motorsport division takes its motor racing inspiration seriously – from the hexagonal shape found in both the car and dial design to the RD630 movement with 12 degree inclined balance wheel. 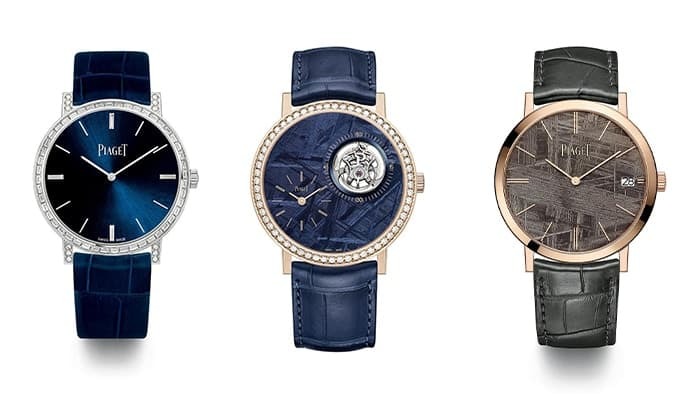 Piaget takes to the night skies for this year’s pre-SIHH 2019 novelties, unveiling three ultra-thin gem-set models, illustrated with magical meteorite. The 36mm Altiplano High Jewellery will come set with baguette diamonds on the bezel and dial for the first time, and with a sunray-brushed dial in Piaget Blue in a limited edition of 88 pieces. The 41mm white-gold 28-piece limited edition Altiplano Tourbillon sees a more pronounced translation of the celestial theme, featuring a blue meteorite dial encircled by diamonds. The dial is completed with hour and minute hands in the hallmark Piaget Altiplano style, and a flying tourbillon recalling the rotation of planetary bodies in dark blue firmament. The pink gold 40mm Altiplano with grey meteorite dial bears a simpler distillation of time told purely in hours and minutes, with a date window at three o’clock. 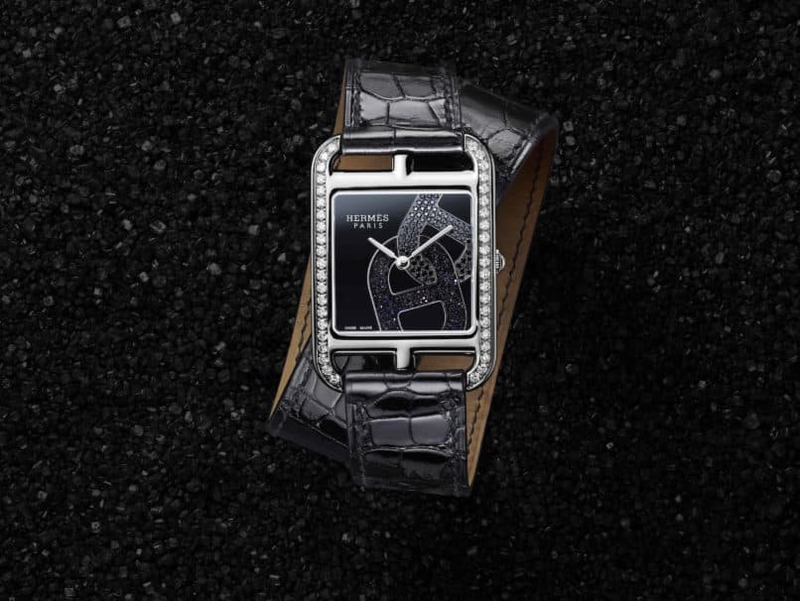 Showcasing the beauty of meteorite as a material, this final pre-SIHH 2019 timepiece by Piaget is limited to an edition of 300 pieces. Hermès made its SIHH debut last year, and is back bigger and bolder for 2019 with new the Arceau and Cape Cod models. From its conception by Henri d’Origny as a ‘square in a rectangle’ watch in 1991, to the addition of a double tour strap in 1998, over to new dial materials in 2016, and a matte black carbon case in 2017, the 2019 Cape Cod Chaine d’ancre sees the alignment of Hermès’ iconic anchor chain motif into the dial. Set against either a black or white lacquered background, the interweaving design element comes in black spinels and aventurine or diamonds and white mother-of-pearl. Intriguingly, the Hermès logo is offset to the left of the dial in this model, complete with a sleek single or double tour alligator strap. It’s the last year at SIHH for Audemars Piguet, and for its final pre-SIHH models, the Swiss watchmakers have announced new colours for their much loved Royal Oak Offshore collection. Since its conception in 1993, the Royal Oak Offshore was always the sportier sister of the classic Royal Oak, and the new models are a fitting homage to this. The new 44mm chronographs feature a ceramic bezel, screw-locked crown, Méga-Tapisserie dial, and robust rubber straps, and are available in striking camouflage colours ranging from green and blue to brown. The blue and green models come with a stainless steel case, while the brown comes in a warm pink gold case. Panerai brings to SIHH 2019 a timepiece with a great story. A combination of performance, strength, and reliability, the Luminor Submersible Chrono Guillaume Néry Edition PAM982 is a tribute to French free-diving champion Guillaume Nery. The mottled ‘shark grey’ dial stays in line with the theme, with a matte blue ceramic bezel, and a caseback engraved with Néry’s signature and his final record of 126 metres — the depths to which he descended in just a single breath. Naturally, the dive watch is water resistant to an impressive 300 metres, with a flyback chronograph function much reminiscent of the PAM 615 Flyback Chronograph model. 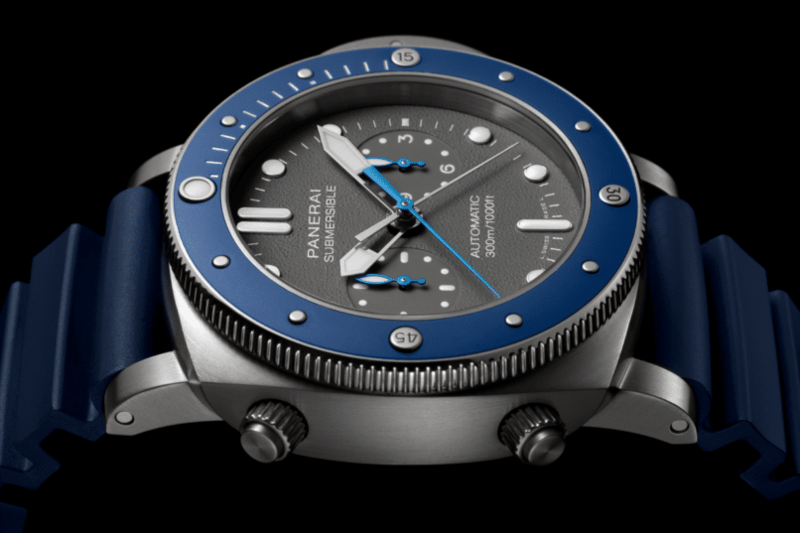 Sporty and classic Panerai with its utilitarian aesthetic and minimalist, highly legible design. From fountain pens to cufflinks, Montblanc has long been known as the Minerva-based brand that truly knows how to put together a gentleman’s look. For its pre-SIHH 2019 novelties, Montblanc is presenting new collections for the TimeWalker and Star Legacy. Whilst the former was inspired by the spirit of racing and 1950s-style stopwatches, the Star Legacy bears a more elegant and poetic spirit, noted for its beautiful case shape and domed sapphire and concave dial. 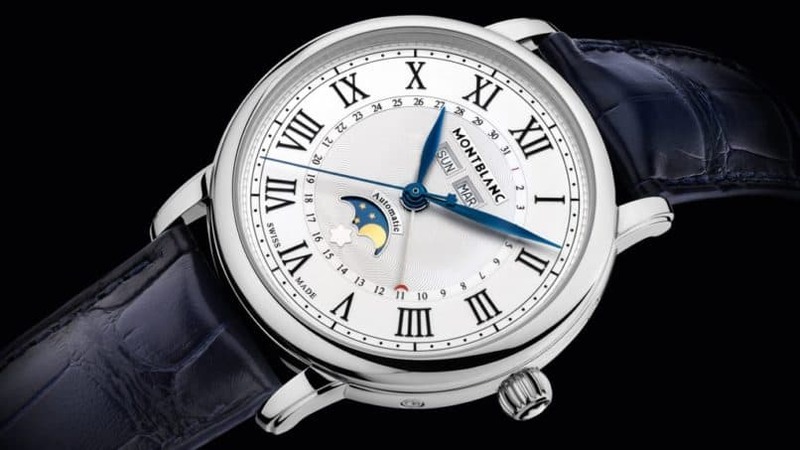 The Montblanc Star Legacy Full Calendar features day, month, and moon phase apertures, as well as a guilloche inner dial. Roman numerals encircle the outer dial in place of Arabic ones, pulling together the evergreen and classic stainless steel look.